In December 1849, Rev. Josef Arnost Bergmann left his Czech homeland to minister to German Protestants in Texas. Pastor Bergmann and his family arrived in Galveston in 1850 and made their way to Cat Spring. There in Austin County he led the Easter service for the congregation that had hired him, and he soon wrote a letter praising Texas to the folks back home. That letter, published in the Moravské Noviny (Moravia News), suggested opportunity to the families struggling on the overcrowded farmlands of Central Europe. Also, it offered hope to merchants and craftsmen left frustrated after the failure of the 1848 social uprisings on the European continent. Among the reforms that had been sought in the Austrian Empire was more autonomy for ethnic groups like the Czechs. Bergmann's letter was the catalyst of opportunity that has earned him the designation of "father" of Czech immigration to Texas. In late August 1851, 16 families from northeastern Bohemia left Hamburg, Germany, to begin an arduous 17-week voyage to the Texas coast. Those first Czech immigrants arrived in early 1852 and were followed in 1853 and 1854 by other Czech families. The immigrants continued to make Cat Spring their dispersal point before moving out to New Ulm and Nelsonville in Austin County and to neighboring Fayette County. Although Protestants initiated the emigration to Texas, the majority of Czech immigrants – estimates range from 70 to 90 percent – were Catholics. Many of these families settled around Fayetteville, often referred to as the "cradle of Czech immigration" in Texas. The first Catholic church to serve Czechs was built in 1855 just south of Fayetteville at Ross Prairie. The log chapel was replaced by a frame building in 1859, and in 1861 the church was moved closer to Ellinger (Live Oak Hill). By 1856, there were Czechs at Dubina, Bluff (later renamed Hostyn), and Mulberry (now known as Praha, which is the Czech name for Prague). Because Fayetteville, Cat Spring and Ross Prairie had previously existed as German centers, various sources refer to Dubina or Hostyn as the first Czech settlement in Texas. The settlers of both places came over on the same ship. Catholic Czech Texans today honor St. Mary's Church (1865) in Praha as their "mother parish." The first Czech Protestant service was held in 1855 near the present location of the Fayetteville Brethren Church. The Protestants were followers of a 15th-century reformist Bohemian priest, Jan Hus, and were known as Hussites in Europe, or the Brethren, as they called themselves. These Czech Protestants eventually established in Texas a denomination called Unity of the Brethren. The first Brethren congregation was formed in 1864 in Vesely. The town, on the Austin and Washington county line, is known today as Wesley, and has an 1866 church that contains interior paintwork added by Pastor Bohuslav Lacjak in 1890. Similar paintwork, in a more elaborate style, was used in Catholic churches in the vicinity of Schulenburg. The churches, today called the "Painted Churches of Texas," have become a popular tourist pilgrimage. By the Civil War there were about 700 Czechs in Texas, many with Unionist and abolitionist sentiments. However, some fought in the Confederate army, while others tried to remain neutral. A second wave of Czech immigration in the 1870s and 1880s followed the war. These Czech settlers established themselves on the Coastal Prairie and the Blackland Prairie from Ellis County near Dallas in the north to Victoria County on the south. A third wave after 1900 moved eastward to Brazoria and Fort Bend counties near Houston. Although there are Czechs throughout Texas and isolated Czech communities in South and West Texas today, the concentration of Czech settlements in a cluster of 15 counties gives a high profile to the culture and its traditions. Recent census figures show other ancestry groups in Texas have larger numbers. However, as a rule, they moved directly to urban areas and quickly assimilated into city life while Czechs maintain these identifiable places of cultural majority. In the 1990 census, Texans who listed some Czech ancestry numbered 282,562. Other sources, including a statewide group called Texans of Czech Ancestry, say the numbers are closer to one million. However, the impact on Texas culture is difficult to convey through numbers. Not until 1920, after the formation of Czechoslovakia, did the U.S. census or immigration services use a "Czech" designation. Often, "Austrian" might the listed in U.S. documents. One clue to the impact of Czechs on Texas might be seen in the census' 1920 figures for "Country of Birth of Foreign-Born Population." The three largest groups in Texas were: from Mexico, 69.2 percent; from Germany, 8.6 percent; from Czechoslovakia, 3.6 percent. Or in another tabulation, Czech "foreign white stock" (defined as those who spoke Czech at home) in 1940 was 62,680. The two provinces of the Czech Republic are Bohemia, centered by the city of Prague, and Moravia, which lies to the east. The majority of Czech immigrants to Texas are Moravian, and the dialects spoken in Texas vary slightly from the Bohemian dialects spoken by most Czech-Americans. Often 19th-century American accounts confuse the issue by calling certain Czech towns in Texas "Bohemian" when in fact the people were Moravian. That the Czech language is still spoken in Texas is possibly a reaction to prohibitions by Austrian authorities on using the language. Early on, the new Czech-Texans established schools and newspapers to teach and maintain their language. Czech was being taught in the classroom in Cat Spring in 1855. The state's largest public college, the University of Texas at Austin, teaches Czech in the modern language department. Today radio broadcasts in Czech can be heard in Central Texas. Also heard is the music that distinguishes the culture. The polkas and waltzes, and the musical instruments used, such as the accordion, so impacted the culture of Texas that the sounds crossed over into the Mexican culture, becoming part of the norteño sound and blending into conjunto bands. It is a legacy that reaches into the Tejano music of today. These Spanish terms refer to music with elements of this style. Numerous well-known Czech bands still play the dance halls and church bazaars throughout the state, and Ennis, one of the northernmost Czech towns, plays host to the National Polka Festival each May. It is said that "wherever you find two Czechs you'll find three clubs." Thus, local lingo in Czech towns is a kind of "alphabet soup" of these groups. There will probably be an SPJST hall, a lodge known by the Czech initials for Slavonic Benevolent Order of the State of Texas. It is a non-denominational fraternal group formed in 1897, initially to provide life insurance. The KJT and KJZT are two other statewide organizations. The KJT, formed in 1888, stands for Katolicka Jednota Texaska, a Catholic men's group. The KJZT for women was formed in 1897, and the group today is known as the Catholic Family Fraternal of Texas – K.J.Z.T. Another organization, the Sokol, is dedicated to the physical, mental, moral and cultural advancement of members through the use of gymnasiums. The idea begin in Prague in 1862 and the first such group in Texas was formed in Ennis in 1909. Others soon followed in Rowena, Guy, Crosby and Shiner and many other Czech communities. They survive in metropolitan areas and the north central Texas towns of West, as well as in Ennis. Ammansville – annual Father's Day picnic in June. Caldwell – Kolache Festival in September. Damon – Sts. Cyril & Methodius bazaar in late September. (The saints were Greek blood brothers; missionaries to the Slavs in the 9th century). Dubina – Sts. Cyril & Methodius festival, first Sunday in July. East Bernard – Czech Kolache-Klobase Festival in June. Ennis – National Polka Festival in May. Flatonia – Czhilispiel in October. Hallettsville – Kolache Fest in September; South Texas Polka and Sausage Fest in March. High Hill – St. Mary's parish picnic on Labor Day Sunday. Houston – Slavic Heritage Day in July. Pasadena – Gulf Coast Czech Festival in late October. Praha – Prazska Pout on Aug. 15; parish picnic close to Veterans Day. Richmond-Rosenberg – Fort Bend County Czech Fest in May. San Antonio — Czech Heritage Festival in October. Schulenburg – St. John's parish festival, (southwest from town, 6 miles, FM 957) Independence Day. Shiner – Bocktoberfest in October; church bazaar Labor Day Sunday. Shiner is the site of the Spoetzl Brewery whose beers are as much Czech as German. Austin – KJZT/Czech Family Fraternal of Texas headquarters. Caldwell – Burleson County Czech Heritage Museum at chamber of commerce offices. Fayetteville – Fayetteville Museum on square. Missouri City – Czech Heritage Society of Texas. Temple – SPJST headquarters; Czech Heritage Museum at headquarters, www. czechmuseum.org. Other noted Czech churches: Granger (Sts. Cyril & Methodius), Shiner (Sts. Cyril & Methodius), Wesley (Brethren Church) 1864 congregation, 1866 building, 1890 interior. 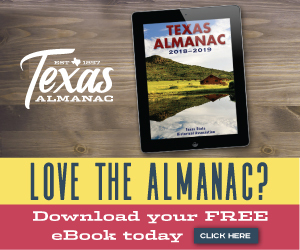 —	written by Robert Plocheck, associate editor, for the Texas Almanac 2000 – 2001. The Czech Texans, staff, University of Texas Institute of Texan Cultures, 1972. "Czechs," by Clinton Machann, New Handbook of Texas, 1996. Through Fire and Flood, by James Talmadge Moore, Texas A&M Press, 1992. "Halls of Fame," by Larry D. Hodge, June 1998. "Room to Grow," by Richard Zelade, Sept. 1993. "Fayetteville," by Carol Barrington, Feb. 1998. "Shiner's Finest," by Jill L. Bates, Aug. 1991. "Czech It Out," by Allan Turner, Texas (Houston Chronicle magazine), Aug. 31, 1997. "The Churches of Fayette County," The Dallas Morning News, May 31, 1998. "Czech Texans Take Steps to Preserve Heritage, Language," by Starita Smith, Austin American-Statesman (reprinted in Houston Chronicle July 7, 1996). "Polka Party," by Nita Thurman, The Dallas Morning News, May 25, 1998. Catholic Family Fraternal Journal, March/April 1998, CFF of Texas/KJZT, Austin. "Texas' Presidential Corridor," by Carolyn Barta, The Dallas Morning News, July 5, 1998. "Czechs in Fayette County," by Carolyn Meiners, unpublished.